Megan Winsor is going on her first tour... in your living room! In preparation for her first full-length album release, CLWNS, she will be giving sneak peek performances of her new material in fan's living rooms in Orange County and LA County. Megan is an independent artist. She needs your help to make this thing happen and to spread the word about her new album! Want your living room to become a stage and invite all your friends to the private show? Fill out this form ( https://forms.gle/ZkYe8JfJKQf1FdAE8) or email meganwinsorbooking@gmail.com . The Living Room Tour will be based solely donation. Any person who donates will have the option to attend any of the public tour dates when they are released. Any host has the option to require a donation for entrance in order to cover hosting expenses. The full album, CLWNS, will be released in the last quarter of 2019. It encompasses every aspect of who Megan is as a musician and a person. The compositions were written over the course of five long, transformative years. The collection of emotional tunes accurately depicts the journey this young woman has taken, and how she got to where she is today. It is consistent with her desire to resonate and identify with each and every one of us. Listen to her latest single, Lose Myself, here. Megan Winsor is a Newport Beach native and singer/songwriter. She is a self-taught pianist and guitarist who values quality over quantity; everything she puts out mirrors this mantra. 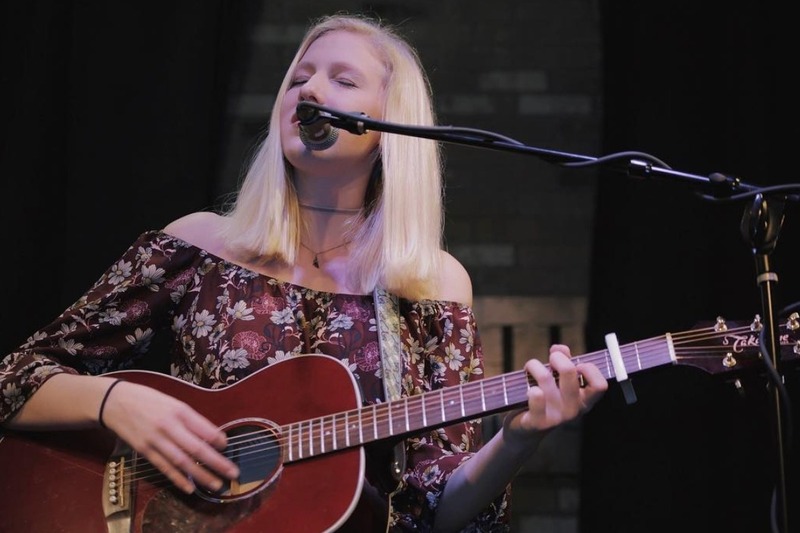 She is a student at the University of Southern California's Thornton School of Music and has been performing around Los Angeles while concurrently prepping for her upcoming releases. Check out her music video for "Caught Up," on Vevo and YouTube, and keep up with her journey via Instagram @meganwinsormusic and http://www.meganwinsormusic.com .